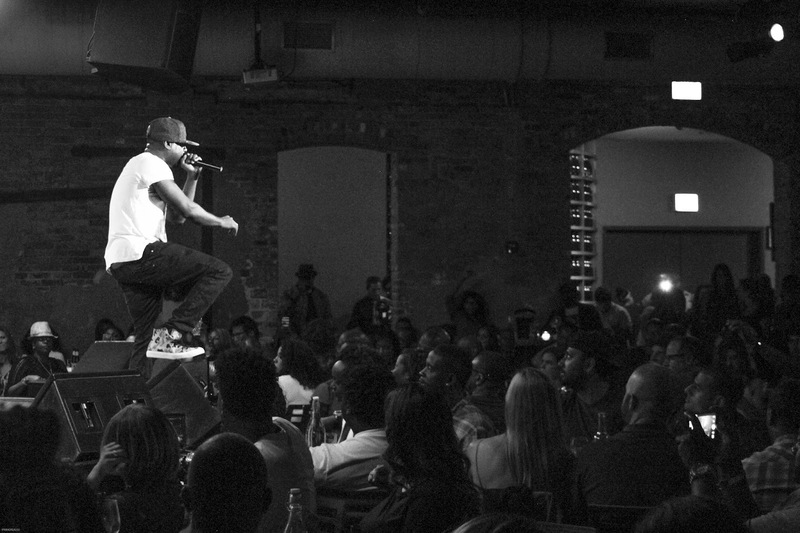 Saturday, June 2: Talib Kweli gave an intimate performance at City Winery in Chicago’s River West neighborhood with a bottle of red and two turntables and a microphone. 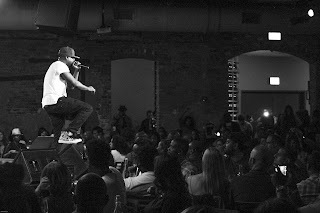 With City Winery’s posh contemporary rustic setting as a backdrop; the 100+ attendees all well-dressed and bright eyed, and the wine and hor d’oeuvres flowing, Kweli performed smooth and raucous hits with his unique narratives. “I’m a drunk James Brown,” Kweli jokes, speaking on hate he gets on social media from racists and white rappers ‘trolling’ him. The Blackstar native performed hits like Hot Thang, Never Been in Love Before and other hip-hop hits that had the crowd on their feet. 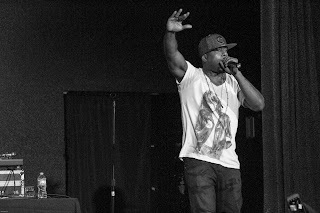 Talib Kweli gave a fantastic show, short-and-sweet, flowing acapella at times. I would love to hear him live for a steppers’ set in Chicago. Kweli’s succinct boisterous masterful lyrics and smooth versatile flow would sound great over a stepper beat.